The banking sector — and bank stocks — saw an intriguing reversal in the 21st century. For most of the latter 20th century, banks generally paid depositors a higher rate of interest than bank stocks paid in dividend yields. This trend reversed soon after the turn of the century and became more pronounced after the 2008 financial crisis. Beginning in the early 2000’s, interest-rate cuts gave bank stock investors dividend yields that exceeded the rates depositors earned in interest. Although interest rates have begun to gradually move higher in recent months, bank-deposit interest rates remain extremely low by any measure. Fortunately, some banks pay the 5%-plus returns comparable to bank and CD rates in the 20th century. These five stocks show that earning substantial cash payouts from banks remains possible — if investors take a chance on bank stocks. Bladex (NYSE:BLX), or Foreign Trade Bank of Latin America, based in Panama City, serves as a special purpose bank. The bank works to facilitate trade and business relationships between Latin America and the Caribbean. Its commercial sector accounts for most of its activities and generates most of the institution’s income. Its treasury sector handles funding, liquidity and investment management. Operating in Panama also creates a unique advantage. Since the Republic of Panama uses the United States dollar, it also enjoys the credibility that comes with conducting business in the world’s reserve currency. BLX remains a stable institution for more reasons than its use of the U.S. dollar, though. This stability extends to the growth (or lack thereof) of revenue and net income levels. After seeing revenue and profit growth in 2014, both revenue and profits had fallen back to 2013 levels by 2017. Growth has stagnated since, and analysts believe that it will not resume until next year. Hence, dividends remain the compelling reason to invest in BLX stock. While dividend levels saw some fluctuations in past years, the company has held its annual dividend to the $1.54 per share level since 2016. This roughly translates into a 8.17% yield. Moreover, if profit growth predictions hold, consensus 2018 earnings of $1.82 per share should cover the dividend. Also, if the company meets 2019 profit forecasts of $2.18 per share, a dividend increase for 2019 remains a possibility. With the advantages of operating in Panama and the stability of its income, the BLX stock dividend remains a safe bet for a high dividend return. HSBC Holdings plc (ADR) (NYSE:HSBC) is a British banking and financial services holding company. Founded in Hong Kong (then a British colony) in 1865 as a bank to finance trade between Europe and Asia, the bank now bases itself in London. Today, it provides banking and wealth management services to clients in 67 countries and territories across the world. Although revenue has seen years of decline, it has begun to rebound. Moreover, the price-earnings (P/E) ratio of HSBC stock is currently at 16. This level of profit growth should bode well for its dividend. Its current dividend stands at $2 per share. New York Community Bancorp (NYSE:NYCB) holds about $49.7 billion in assets and operates branches throughout metro New York City, as well as Arizona, Florida and Ohio. Like with many bank stocks that pay high dividends, investors should not buy NYCB stock in hopes of stock price growth. Both revenue growth and profit growth remain negligible. Its current P/E ratio stands at about 15. NYCB has maintained an annual dividend of 68 cents per share since 2016. This represents a cut from $1 per share per year, a level it had maintained for several years. However, with forecasted profits for 2019 at 80 cents per share, the current dividend of 68 cents per share places the bank on a more solid footing. Even with its lowered dividend, the dividend yield stands at an attractive level for income-oriented investors. Unlike most bank stocks with high dividend yields, Oritani Financial Corp (NASDAQ:ORIT) exhibits some degree of growth. The commercial bank, which is based in Washington, New Jersey, saw its stock price fall to a low of $6.37 per share in 2009. Now trading around $16.80 per share, both its stock price and its dividend saw huge increases as the stock emerged from the depths of the financial crisis. Those who bought near the 2009 low and held have also enjoyed massive dividend growth. The annual dividend in 2009 stood at 18 cents per share. By 2015, that dividend had grown to $1.20 per share. Though current conditions have forced the current annual dividend down to $1 per share, investors have still enjoyed both stock price and dividend growth over time. In the near term, it appears most of the benefits will come from the dividend. If the 2019 earnings projection of $1.10 per share holds, that places the forward P/E at around 14. Hence the stock trades near its average multiple. With 2020 profits expected to come in at $1.05 per share, the stock lacks the catalyst to energize growth. However, some ORIT stock investors may want only the dividend. Buyers who have time to wait on stock growth still should do well. Hence, investors wanting a high dividend and long-term growth should receive both from ORIT if they can exercise patience. 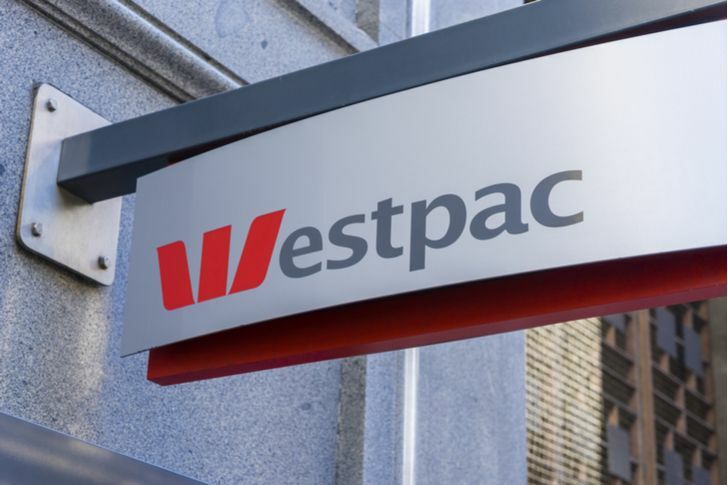 As Australia’s oldest bank, Westpac Banking Corp (NYSE:WBK) has enjoyed an enormous first-mover advantage Down Under. The institution makes consumer and business loans as well as providing wealth management throughout Australia and New Zealand. The bank has leveraged an extensive network and a high credit rating to bolster both revenue and profit growth. Unlike many banks that pay high dividends, it has grown revenue and earnings consistently for several years. Although the stock has traded in a range since soon after the financial crisis, that might change in time. Over the last five years, revenues have increased by about 3.6% per year. While earnings may have fluctuated, they increased on average by just over 6.1% per year over the same period. As a result, the stock has fallen to an 11.07 P/E ratio. The average P/E over the last five years has stood at 14.2, indicating growth could come. As for the dividend, payment in Australian dollars has led to slight fluctuations. With that movement, the annual dividend currently comes in at $1.35 per share. Investors must endure some currency risk with this dividend. Still, with a yield of over 7% and the potential for stock growth, a little currency risk yields a substantial amount of reward. The post 5 Bank Stocks That Pay Big Dividends to Shareholders appeared first on InvestorPlace. At Home Group Inc. (NYSE:HOME): What Can We Expect From This High Growth Stock?